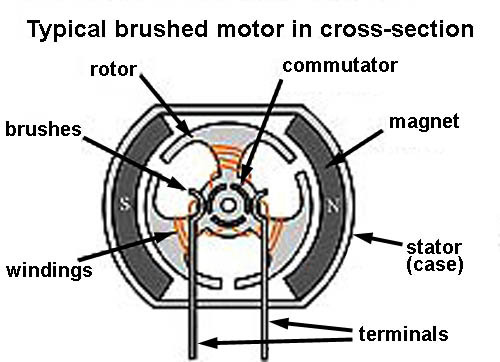 The basic operating principle of a brushless motor is essentially the same as the more common brushed variety, but the construction is quite different. In a brushless motor, the permanent magnets are located on the rotor or armature, and the windings are stationary and attached to the motor’s outer case. Since the windings do not rotate, the commutation must be done electronically rather than mechanically. A microprocessor circuit that includes an integrated electronic speed control performs this electronic commutation. 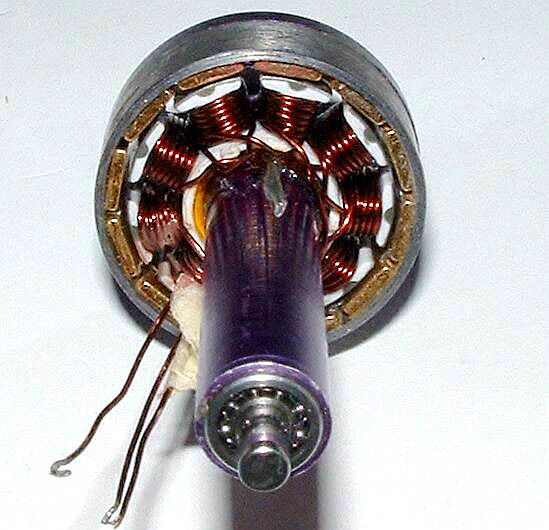 Brushless motors are more complicated (and hence more expensive) to manufacture; so why use them? 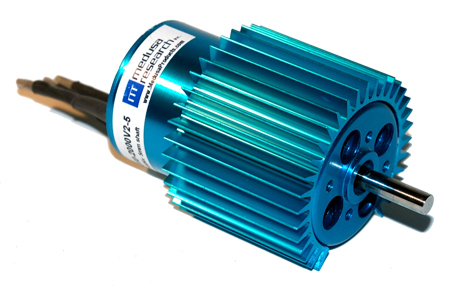 There are several advantages to a brushless motor. First, the heat generated in the windings is more easily dissipated, since the windings are in direct mechanical contact with the motor case (which acts as a heat sink/radiator). Cooler running motors are always better. Also, since there are no brushes and mechanical commutator to contend with, higher motor speeds are possible, and the conversion of electrical energy into mechanical energy is more efficient. The bottom line is that more of the energy stored in your battery pack gets used to turn the prop! Here is an animation that shows how a brushed motor works. Here is an animation that shows how brushless motors work.